Oh my goodness this has been a LONG time coming! First, it was a matter of cost, then it was a matter of not having the right tools, then it was “What kind of door should it be?” so I started dreaming and scheming, then we were on the road, and then we were settling back in. Sorry…that was a lot of “thens”. FINALLY, all the pieces have fallen into place and the girls are the proud new owners of a really cool door! I know, I know, it’s just a door…or is it? This is a Dutch (or barn) door. It is the kind that opens at the top, or the bottom, allowing us to keep them in their room while cleaning, but still able to see and check on them. Our side is pretty and matches the rest of our home, while their side is entirely a dry erase board. How many parents out there can holler to “Stop fighting and go draw on your door”? Ha! Not many I bet, lol. I’m happy that they can now have a little privacy, after all, MHG is now 8 and is quite modest these days. She’s happy that she doesn’t have to change her clothes in the bathroom anymore. She can stretch out in her room without fear of someone seeing her, lol. I remind her that I changed her diapers for two years, and oh yea, gave birth to her, so I don’t care…but it’s a moot point. I’m glad she’s growing modest and I’m proud that she feels comfortable enough in our home to speak her mind and request some privacy. 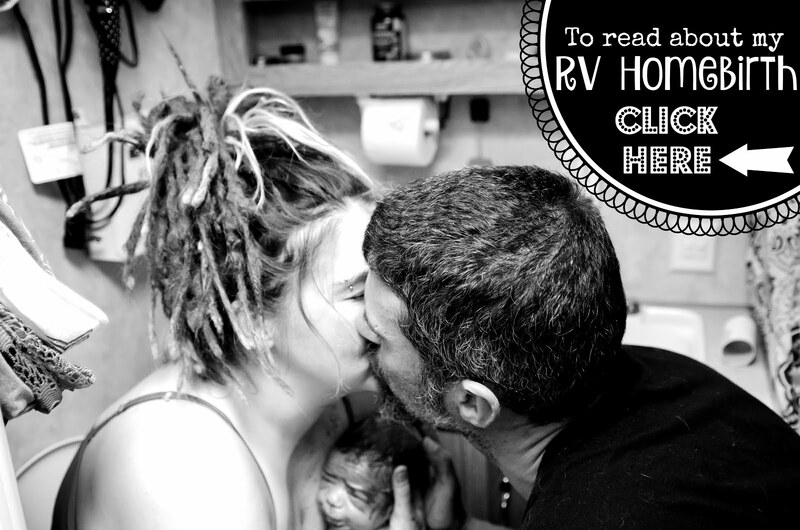 After all, living in an RV has taught us ALL a lesson in respecting each others’ privacy. Now, not only do they have that, but they also have a space for a creative outlet. I’ve already taken so many pictures of their drawings. I’m glad that they’re enjoying it so much! Daddy even got them an assortment of colored dry erase markers, so the possibilities are endless. It allows Nic and I to not have to be so quiet at night while they sleep. Although MHG can sleep through a tornado carrying her away, Cindy awakes to the sound of a pin hitting the floor. We still have to be quiet for her sake, but now we can actually use the bathroom, open the fridge or run some water from the kitchen sink without waking her. Also, like I said before, I can barricade them in their room while I clean. I don’t have to worry about Cindy running out anymore, onto my freshly mopped floor and slipping. That alone is worth it! She doesn’t ever heed my warnings. When the top door is shut, they like to use the bottom door as a little person door. It’s been fun for some make-believe play. But my favorite use of all, is that they’ve been putting on puppet shows for me! They’ve never done puppet shows before in their lives, so it touches my heart with love and laughter to watch the stuff they make up! It’s sparked some creativity in me as well, as I now want to start making them some hand puppets. Daddy built them a door. He worked hard on it, putting all his weekend free-time, skill, and love into a gift for them. But he gave them so much more than just a door. Thank you honey for what you did. You really have no idea how special this is to them and me. You are an amazing man and we love you very much. Assembling the doors is done outside. This requires power tools: a skill saw, air compressor, nail gun, & drill. The bottom door gets hung once it’s assembled. A few adjustments need to be made though in order for it to shut. The top door is built back outside & hung up once finished. Following that, he starts to put up the trim. I love that he, of his own choosing, picked us out gorgeous leaf etched trim! He knows me so well! It comes in light brown, but he stained it glossy black. The bolt that holds the 2 doors together, when that is the desired effect. And now for a look at the Girls’ side of the door! The moment my heart melted. Witnessing my first puppet show from my girls + Blondie. Here is the door finished, complete with kitty door & a piece of trim dividing the center. We’re waiting on getting the door trim for their room because I need to be with Nic to pick it out. Back in April of 2013, Pip & I had already done the trim around the ceiling and their back door, so I need to get the exact kind so it matches. A sweet message left on the board from Blondie’s Mommy. I’ve said it before, and I’ll say it a hundred more times throughout my life I’m sure, I am so lucky and blessed to have Nic as my Husband and the father of our children. What he provides for this family is so much more than just income. He provides us with a safe, loving home where we can be free to be who we are. He offers up love, security, trust & even humor. With his abilities, he brings my designs to life and makes his come true as well. I couldn’t be happier with this newest creation of his. When I asked him if he could build them a door, split in two, matching our side and drawable on their side, I never knew he would make it better than I imagined! His talent knows no end, and for that, we are one lucky family! Who’s Up For A Hike With Swarming Bees? The Man. The Myth. The Legend. Papoo.